What's new on the 2019 Chevrolet Traverse? 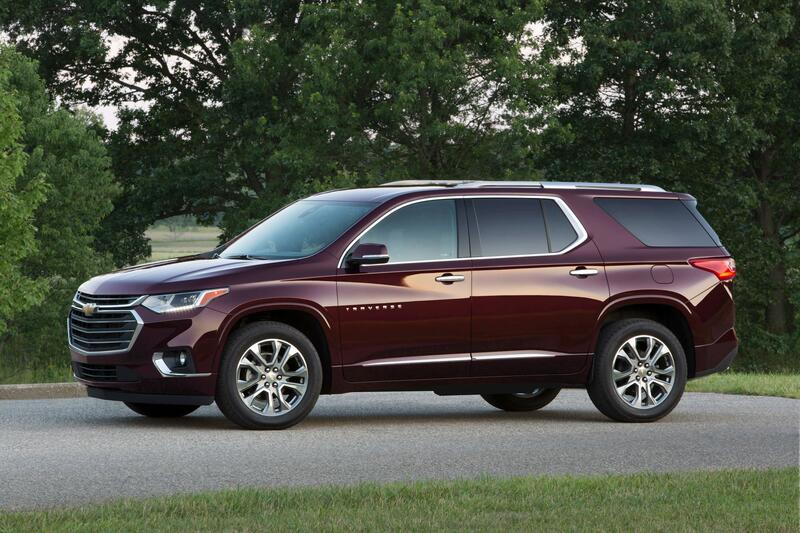 You might already know that the Chevrolet Traverse went through a huge transformation last year. The 2018 model launched that section generation, bringing with it sweeping changes. After that big redesign of the midsize SUV, the 2019 Chevrolet Traverse comes with a few more changes and updates. Read on to find out what to expect when you see this three-row family vehicle at Essig Motors. The good news is the 2019 Chevrolet Traverse still drives and feels much like the 2018 model. You can get the 3.6-liter V-6 engine or the 2.0-liter turbocharged four-cylinder engine. Both work with the same 9-speed automatic transmission. All-wheel drive is optional, just like before, boosting handling performance. The same tight chassis also helps this big crossover drive more like a smaller car, so you feel confident behind the wheel. While the mechanical components of the Chevrolet Traverse remains unchanged for 2019, what covers them has evolved. More specifically, you might notice numerous differences in how the exterior of the crossover looks versus the 2018 model year. Premier and High Country models that have the Hit the Road Package will be looking a little brighter in the sunlight. Instead of black roof-rack cross rails, the vehicles come with bright cross rails, matching the rest of the roof rack. That leaves the LT, RS, and Redline Edition models as the only ones that will continue to use black cross rails. The liftgate on the Chevrolet Traverse Premier gains a new badge that reads “Premier.” It’s a simple yet elegant touch to differentiate it from the other models in the lineup. Gone are the 18-inch Bright Silver machine face painted aluminum wheels. They were available for 2018 1LT and 2FL trims. Instead, those models feature 18-inch Bright Silver painted aluminum wheels in their standard setup. You might think luxuries aren’t something that factors into the Chevrolet Traverse, but that’s not the case. Depending on the model, the crossover can pack some quite nice and accommodating equipment. A few changes have been made to the offerings for 2019. One of the biggest has to do with the heated steering wheel. For 2018 this feature had to be activated by the driver. The difference is for 2019 the heater can automatically turn on when selectable automatic activation has been enabled by the driver. It leaves one less thing to worry about when driving, which is good. Chevrolet has also done some shuffling to the optional packages for the Chevrolet Traverse. High Country models are the only model that can have the Premium Carpet Mat Package. This upgraded addition to the flooring was available for LS, LT, and 1LZ models in 2018, in addition to the High Country, but it’s more exclusive for the new model year. A big shift in the Cargo Package means the integrated cargo liner will no longer be included. Instead, if you want to protect the cargo area with this amenity, you’ll have to add the Floor Liner Package. Try the 2019 Chevrolet Traverse for yourself today by contacting Essig Motors.